Our skin means so much to us and we spend so much money on buying cosmetics that would help us get better, smoother skin. All the money that you put into the beauty and maintenance of your skin, however, can go to a complete waste by the appearance of a single pimple. Acne, is the bane of all women and we all hate it with unequalled passion. If you are among those women who have hailed the passing of your adolescence simply because you are hated your acne, their sudden appearance on your skin could be really saddening. Thankfully, there are ways to deal with acne too. 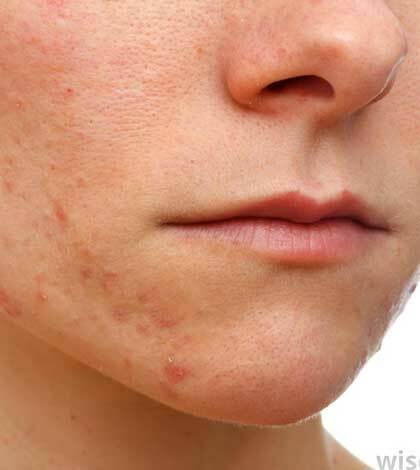 Acne, or acne vulgaris, as it is scientifically called, is a condition in which the oil glands at the base of the hair follicles become clogged. These oil glands produce the natural oils of the skin called sebum. When mixed with dirt, sebum could clog our pores and the oil glands get infected. This process is usually triggered off when we attain puberty. That is the time when these oil glands or sebacious glands, become active. The resulting infection causes red colored raised bumps all over the skin. These are not only unsightly but may itch as well. How Can Calamine Lotion Help? Calamine lotion is a mildly scented medication, used to treat mild infections and irritations on the skin. It is usually a combination of zinc oxide and ferric oxide, or a zinc carbonate compound. It has soothing properties and can really ward off itching, burning and irritation of the skin. Its chemical composition makes it a mild antiseptic as well, so it is able to inhibit growth of microbes and prevent infection on skin. How Should You Use Calamine Lotion? If you have acne, you should always apply anything on your face only when you have washed it. Use a mild soap or face wash to clean your face. It would be better to use a product for oily skin. This would help remove excessive oil from your skin. Do not scrub the skin as that would only irritate it further. After you have washed your face, pat it dry with a towel. Apply calamine lotion to a piece of cotton wool, or if you want to use your hands you can apply some on your fingers. However, in case you decide to use your hands to apply the lotion, sanitize your hands before using the lotion. Now, using your fingers or the piece of cotton wool, apply to the acne affected skin. Do not rub the lotion in. Gently dab at your skin with it. You can apply a second coat if you need, but in most cases it is not required. Leave the calamine lotion on your skin overnight. You need not wash it off in the morning. Simply rinse your face with water and take a regular bath like you are used to. Repeat every night till you get rid of the acne completely. Calamine lotion is a great way to deal with both your acne and acne scars. However, it has a lot of other benefits too. Its chemical composition makes it very soothing on the skin, so it works wonderfully to soothe sun burnt skin. You can also use this cooling lotion to heal skin burnt due to high heat too. A lot of people use calamine lotion to reduce the appearance of blemishes and treat allergies caused due to poison ivy. Another great benefit of calamine lotion is that it is chemically designed to absorb UVB and UVA rays. So if you use calamine lotion everyday, you do not need to use an additional sunscreen to protect your skin from the sun. It moisturizes your skin and also acts as a natural primer or a makeup base. For a lot of women, calamine lotion is the perfect skin care solution. Once you have it, you do not really need anything else for healthy, glowing skin.